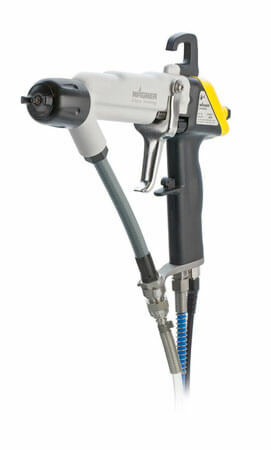 Electrostatic equipment from Spraymaq: is looking for a team of paint professional for painted electrostatic? Then it has come to the right place! We offer you our range of machines for more sophisticated electrostatic painting of the market and the best sale prices! Do you require more information? Click above on the "contact" tab and we will attend to you in a very short space of time to tell you that machine or electrostatic powder paint equipment for example it will do better depending on your needs. 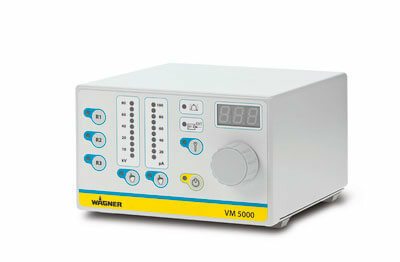 WAGNER has designed a new series of intelligent control units based on advanced technology and extensive experience. With them it is possible to adapt in real time all electrostatic parameters so that the gun delivers optimal performance under any condition. Working safely with water based paints. Central control An easy-to-use central control regulates and controls all functions of the system AquaCoat. Simple maintenance The central locking the gun and hoses game allows fast switching and short idle times. The interchangeable tray allows quick and easy cleaning from inside. Quick change of paint The front opening allows you to access easily to the supply of paint and the rapid change of the painting. High process safety Storage of up to 60 volume of product l reduces downtime and increases productivity. The continuous agitation of the product guarantees a high quality of finish of the surfaces. High level of security The most important safety systems are redundant. Central control regulates and controls all functions of the system AquaCoat. During the application access to the interior is locked. Spray spray - water products. The cascade of high power to generate high voltage is in the gun. With different versions can be processed with solvent or water-based lacquers. 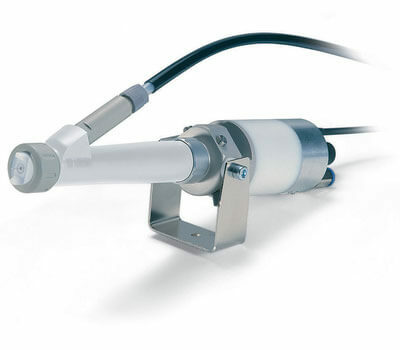 The adecuda solution to work with automatic electrostatic guns paint solvent. It includes features like high tension adjustment, the display of the voltage and current, Air damper adjustment the air spraying and conformation, and an external connection for the predetermination of values. Visual representation The voltage and the current are represented visually to give the user the possibility to also read values from greater distance. 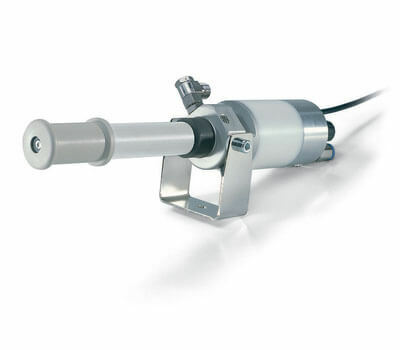 Process control Gun parameters you can modify and control directly in the control unit. Selector switch A selector switch allows you to manually intervene in the installation. 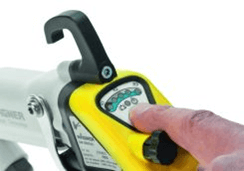 You can select the washing and spraying with and without high voltage. 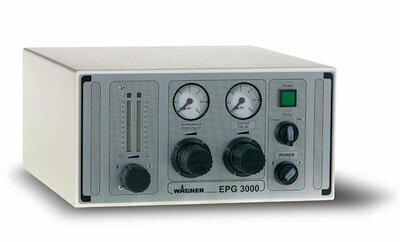 Integration in the control of the installation Using the integrated interface, the EPG 3000 It can be integrated in an installation control. 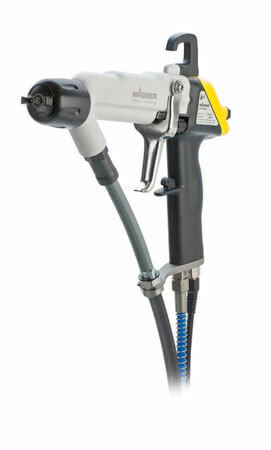 A wide range that lets you select the optimal gun for your coating needs. 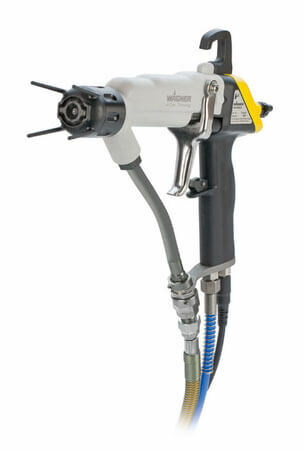 Excellent quality of the surface - spray gun. 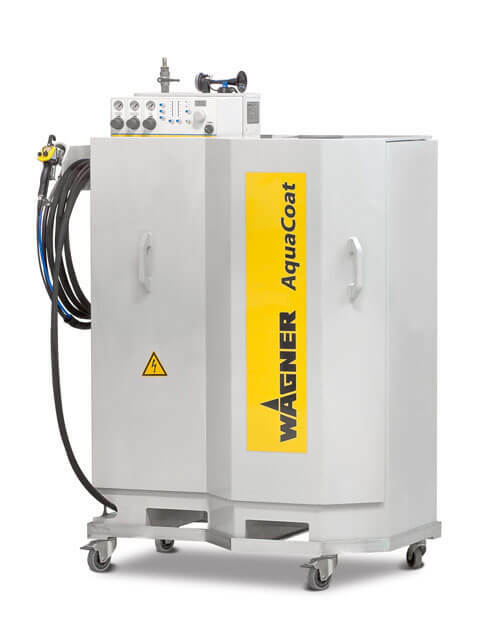 WAGNER automatic electrostatic guns were specially developed for automated coating, rational and economic industry. All electrostatic guns for the automatic application of solvent-containing paint are protected against explosion according to ATEX Directive. Excellent surface quality - AirCoat spray - Airless.